Spend an unforgettable winter or summer relaxing at our Ferienhaus Mitterer. 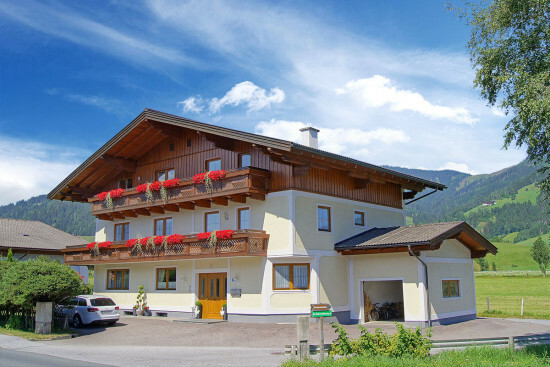 Our chalet is situated in a sunny location in Flachau, in the district of Reitdorf. Choose from our 3 new and lovingly decorated apartments in Flachau sleeping 2 – 8 persons (combination of apartments sleeping 8 – 12 also possible). 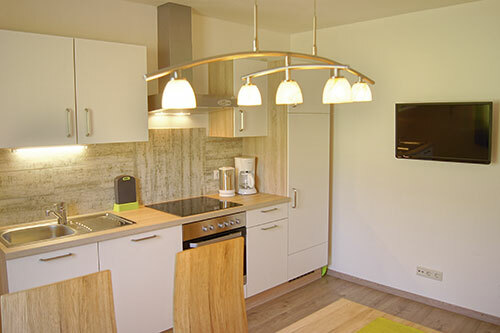 All apartments offer a fully-equipped kitchen. We also offer guests a fresh morning bread roll delivery service. Savour an enjoyable break with lots of special moments and memories at our chalet in Flachau. Flachau in Salzburger Land offers a wide range of sports and leisure activities in summer or winter. Enjoy great skiing in the Snow Space Flachau ski area in the Ski amadé on your winter holiday. The valley station of the Spacejet lift is just 1.5 km away from our chalet. The ski bus stop is situated right next to our Ferienhaus Mitterer. Access to the network of cross country ski trails is just 200 m away. In summer you’re just a stone’s throw from starting points for fabulous walks. The cycle path leads right past our house. After an extensive bike tour enjoy a refreshing dip in the Reitecksee Lake, just 500 m away. The Therme Amadé Spa is also just 2 km away and open all year round.